This is an article from snsnightlifemagazine.com. Expect to see lots of posts from them in the near future. I just started contributing on their site. This is an article from it. It is not mine. Whether you’re looking for a different kind of sound from the DC area or you’re wondering who else we got besides Wale , DUC’s (Dat Urban Connect) The Proclamation mix tape is like a one stop shop for some of our area’s real street soldiers. These names belong to the faces at the open mics and showcases around the city. The Proclamation is mixed by DJ Wild Child and features signed artists like Los and Lola Monroe on the Bad Boy and Taylor Gang teams alongside unsigned artists including Machez Spyro, Caddy da Don, Young I, PG Mannie, D.C. Flyz, 808 Stacks, Teem Coolin, Tricky Dice, Grynd, Born Divine, Interstate Kingz, Lady Explicit, Sherlock, A Da$h and many more. The music world is buzzing right now! Debates are being sparked over Kendrick Lamar ‘s lyrics featured on Big Sean’s new song “Control”. In a nutshell, it wasn’t a diss song, but rather a song to tell everybody to step their rap game up and how Kendrick Lamar feels there is very little competition. This is his challenge to prove he is the “BEST IN THE WORLD”. He didn’t say those terms, but I put it in context of how CM Punk felt during his June 2011 game changing unscripted promo, venting real life frustrations. This may be the spark that hip-hop needed. While there are plenty of great newer rappers, they pretty much stay underground or if they are popular, they don’t get the respect they deserve. Every few years or so, you do have someone like Kendrick Lamar who is able to make it to the mainstream and be embraced by pretty much everybody. This would have been just another song in the mid to late 90’s. It stands out with the current climate and the incredibly low bar rap music has been set at for the past several years. I hope we see everybody step their game up. You know who’s not going to care? Probably the 14 year old girls who just listen to the radio, twerk in front of their mirrors, and take a thousand Instagram pictures of them twerking in front of those mirrors (typically in the bathroom). Also, the people who only care about the beats probably won’t really care either. Of course, I like good beats too, but many times good beats are overcompensation and/or a rappers justification for writing crappy lyrics. I have been a rap fan since I was seven years old. I respect many styles of it and feel they all have a place for our ears. However, how many times can the SAME SONG be recycled OVER AND OVER AND OVER AND OVER AGAIN? Yet, the majority of people eat the same plate of poison up like they do for dinner every night (My activism was opening an entire different can of worms with that one unrelated to music.) and are addicted to it. There’s no creativity and originality in most of what we hear on the radio. In turn, that’s why EVERYBODY’S a rapper. The bar is set so low, that people figure “So and so made it, I can too.” Not so easy, it takes connections and a hustle. The one thing corny rappers who make it are good at is marketing. They have to be, since there are no skills to sell. That’s where a lot of rappers with actual talent fall short. They don’t market or promote well. They figure their skills will sell them…not if people don’t know who they are. Hopefully, along with Kendrick forcing the hip-hop world to step up and take his challenge, this will force the hundreds of thousands of “rappers” who have no business on a microphone to take a different career path and let the people in the underground who are really serious about rapping have their shot. I’ve been in the hip-hop scene on the business side and as a writer. I’ve met some cats who have some real skills. I’ve met people who don’t have them, but have potential to be good. I’ve met total clowns as well. I posted on Facebook earlier today about how much mainstream hip-hop has fallen and compared it to TLC (The network, not the music group). I talked about how you actually used to “LEARN” from TLC. Now, you get to see Redneck America at its finest. I lived in the south, where I met a lot of wonderful people, but shows like what TLC showcases just further fuels the trailer trash stereotype of folks living far below the Mason-Dixon Line. I will argue with people who don’t like rap, because all they hear is the same tired subjects. We’ve been full of SWAG for the past seven years now. In closing, I am excited about what Kendrick Lamar said in his lyrics for “Control”, and lets see who responds! Listen to it below! P.O.D’s newest single, “Beautiful” has quickly become one of my favorite songs from the band. It’s a simple mid-tempo rock ballad with a touch of their reggae influences. The lyrics are powerful. This song really helps people get through tough times in their lives. Unless you live under a rock, you would already know P.O.D. is a Christian band, but the message in this song is uplifting to anyone, no matter what religion you practice, or what rut you may be going through. For those who think it’s a little “soft”, it’s merely a ballad among a predominately rap-rock album, highlighting the sound that got them famous in the first place. Here’s a throwback especially for those of you who grew up in the DMV…like I did until 1998. I remember rocking out to this with my long hair (yes, I had ridiculous hair at one point). 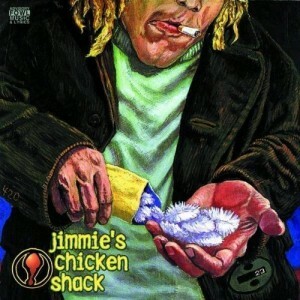 Jimmie’s Chicken Shack had some really awesome songs! This one is called “Dropping Anchor” for those who don’t know it. You probably know “High” and “Do Right”. This one is just as good, if not better (depending on my mood). Here’s to partying like it’s 1997! The official video for “Ghost” (The Romey Rome Beatz tribute song) by Yun6 Canon, Ca$hdew, and Holliwood, Pennsylvania just got completed. There are some live scenes mixed in with videos from the past. This song is really personal for all of us. 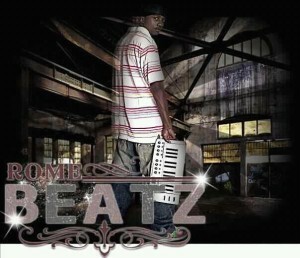 It combines anger, sadness, and reminiscing over the memories we shared with Romey Rome Beatz. There are excerpts from my poem, “NEVER FORGOTTEN” at the end of the video as well.